The Amazon soy moratorium is the result of an unprecedented collaboration between civil society, industry and government. It has already produced a spectacular drop in Amazon deforestation. And now the moratorium will last until — as the renewal document says — it is no longer needed. 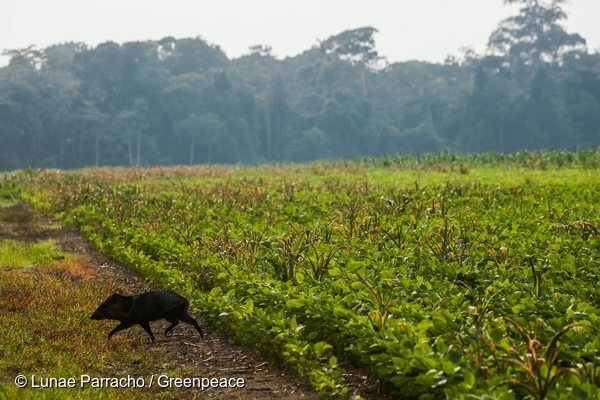 This month — after months of negotiation and uncertainty — the Brazilian government, the soy industry and civil society organizations, including Greenpeace, indefinitely renewed an agreement keeping huge swathes of Amazon rainforest from being destroyed for soybean farming. This is big news for the Amazon, for Indigenous Peoples, for farmers, for business and for all of us around the world fighting to end deforestation. The agreement — called the soy moratorium — is the result of an unprecedented collaboration between civil society, industry and government. 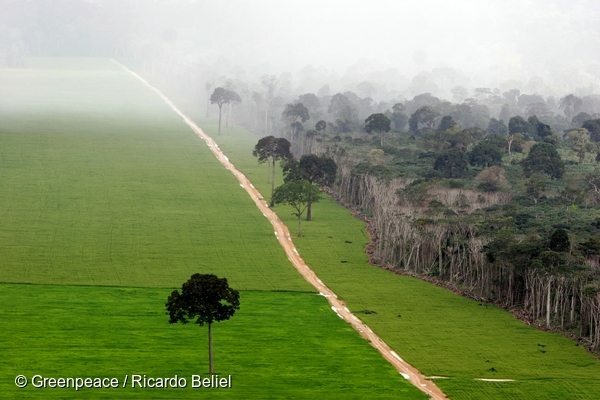 It has already produced a spectacular drop in Amazon deforestation. And now the moratorium will last until — as the renewal document says — it is no longer needed. 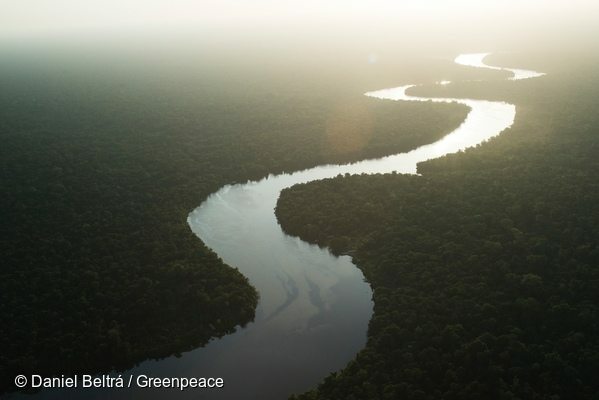 Here’s how this unlikely agreement is tackling one of the biggest threats to the Amazon. A decade ago, the Brazilian Amazon was in a full-blown soy crisis. From 2004 to 2005, the rainforest was being destroyed at the second highest rate ever recorded, due in large part to a rising demand for land to grow soy and cattle. The outlook for the Amazon seemed bleak as the global demand for soy skyrocketed. But in 2006, everything begun to change. That year, Greenpeace released a report exposing the links between deforestation in the Amazon, soy and meat (between 70 percent and 90 percent of the world’s soybean crop is used as animal feed). The Greenpeace research showed that companies like McDonald’s and other fast food and supermarket chains were serving meat likely fed soy grown on destroyed Amazon rainforest. 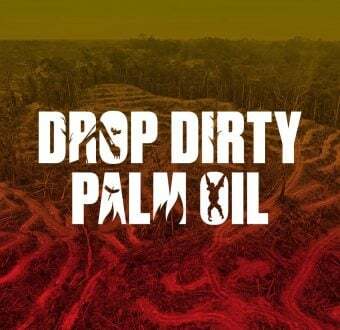 After massive outcry from people all over the world demanding action to ensure that their products weren’t connected to Amazon deforestation, the industry had to respond. The soy moratorium was their answer to that pressure. Together, the soy industry and civil society organizations led by Greenpeace hashed out this powerful agreement. At the core of the moratorium is a simple idea: that companies wouldn’t buy soy from soy traders who get their supply from farmers who clear the rainforest, use slave labour or threaten Indigenous Lands. The agreement is proof of what can be accomplished when civil society and companies work together. Over the last few years there have been extensive and difficult negotiations about extending that moratorium each time it needed renewal. But every year since it was first established, the moratorium has continued. And – as of this week – I can say with confidence that it will continue to fight deforestation until there is a permanent solution to stop forest destruction. What the moratorium has accomplished so far. Because of the moratorium, the threat of soy is no longer seen as a major driver of deforestation in the Brazilian Amazon. Through satellite monitoring and aerial surveying, the moratorium monitors 76 municipalities responsible for 98 percent of the soy produced in the Amazon region. This way, the Soy Working Group can tell when new deforestation is occurring for soy and who is behind the destruction. It’s because of this vigilance that even as Brazil’s soy production has gone up dramatically, deforestation for soy has remained low. Since 2006, the amount of land soy occupies in the Amazon region is up 260 percent, but only a bit more than one percent of that soy is being grown in newly deforested areas. What’s next in the fight to stop Amazon deforestation. 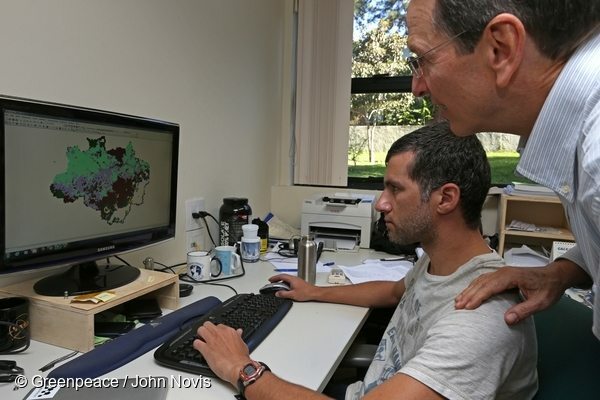 The moratorium has done a great job of preventing soy expansion in the Brazilian Amazon. The indefinite renewal of the soy moratorium is also a sign of what partnerships between industry and civil society can achieve to save our planet. As political uncertainty grows in Brazil, the agreement can provide the market with strong guarantees that Brazilian soy is forest friendly. But while the moratorium is widely credited as a major factor in the reduction of deforestation in the Brazilian Amazon in recent years, the fight to end Amazon destruction is far from over. The Amazon still faces catastrophic mega-dams, illegal logging operations and other commodities driving deforestation – like cattle. And Greenpeace will need your support every step of the way to take on these challenges. After all, the soy moratorium was only possible because people around the world demanded it!